Has anyone seen Elvis? Maybe he'll show up at Psycho Donuts for his 76th birthday - this Saturday, January 8! 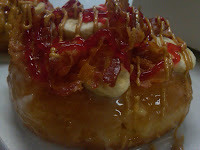 Elvis would approve of The Dead Elvis, since it has all his favorite toppings - bananas, bacon, peanut butter and jelly. Show up at Psycho Campbell or Psycho San Jose on Elvis' birthday dressed as The King, and your Dead Elvis is free! Bubblewrap Appreciation Day is Monday, January 24 (pick up a 2011 Psycho Nurse Calendar, and learn about all kinds of crazy holidays)! For those of you who have been to Psycho Donuts, you know why we're excited about Bubblewrap Appreciation Day. Here's a little contest -- take a picture of something unusual and large covered in bubblewrap. Make it clever and definitively psycho, and email it to psychodonutsweb@yahoo.com or upload the photo to our Facebook page. The winner and two friends will be invited to a private bubblewrap stomp at Psycho Campbell (full disclosure - the private stomp happens at 6am, yawn); think bubblewrap carpeting. You'll leave with a bubblewrap buzz, a dozen donuts, and a Psycho t-shirt! We can't wait to see what you cover in bubblewrap! 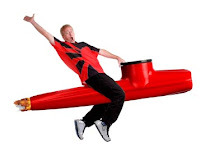 Another important holiday (which is well recognized in the Psycho Calendar) is National Kazoo Day, on Thursday, January 27. Starting at 3pm on Kazoo Day, come to Psycho Donuts Campbell or San Jose, and get yourself a free kazoo with your donut order. We recommend placing the kazoo through the donut hole and playing a song. Back by popular demand - it's Psycho Karaoke in the Padded Cell - courtesy of Korkaraoke! 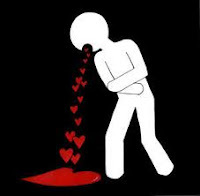 Bring your crazy singing voice to the Lovesick event, and join the musical antics, beginning at 10 am. Center-stage at Lovesick is our annual 'anti-love-themed' art show. Buy an original piece of 'Lovesick art' for as little as $40! Meet Psycho artists in person - like Christine Benjamin, Deborah Barba, Carlos Villez, John Hageman, Sheri DeBow, Kurtis Rykovich, Lacey Bryant, Laura Collin Bennett, Michael Foley, Michelle Waters, Nicolas Caesar, and Christian Cinder. 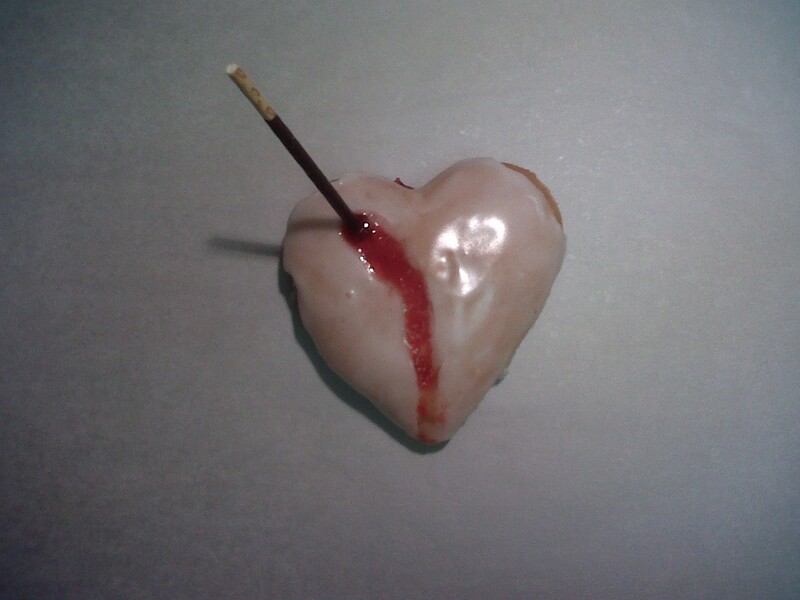 Kick off your Valentine's Day holiday with a heavy dose of bad lovin' - only at Psycho Donuts!